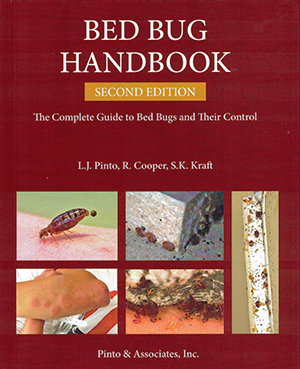 Difficult to tell apart from bed bugs: a bat bug has a fringe of hairs on its pronotum longer than or equal to the width of its eye; that of the bed bug is shorter than the width of the eye. Bat bugs may also bite people. 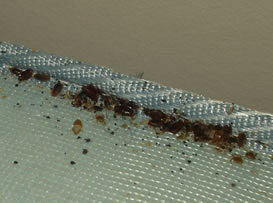 Difficult to tell apart from bed bugs: front of pronotum of the tropical bed bug is moderately excavated versus deeply excavated for the bed bug; occurs in the tropics and in Florida. 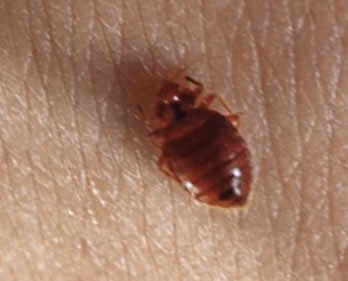 At one time, bed bugs were primarily found most often in barracks, camps, jails, rooming houses, homeless shelters, old hotels, other shared sleeping quarters. 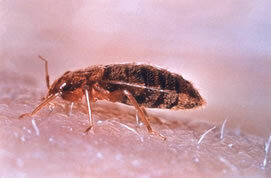 Also can infest hospitals, nursing homes, trains, planes, buses, cruise ships, theaters, moving vans, etc. 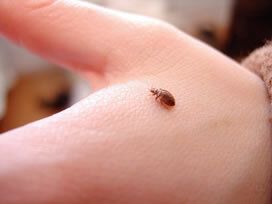 Bed bugs travel up to twenty feet to feed, and occasionally much further. Feeding does not spread any diseases.